A fan favorite is dusting off his robe and returning for the upcoming Bill & Ted movie. 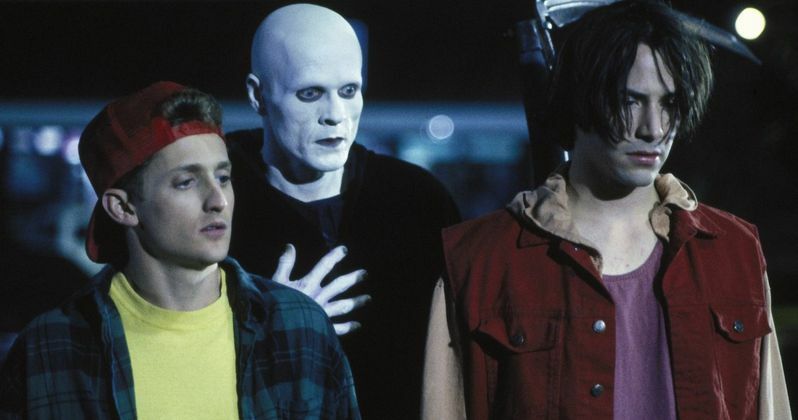 William Sadler, who played Death in Bill & Ted’s Bogus Journey, will reprise his role in the third movie. The movie’s official Twitter account confirmed the news with a GIF of Death losing a game of Battleship to the slacker duo. Bill & Ted Face the Music is directed by Dean Parisot, written by Chris Matheson and Ed Solomon and stars Keanu Reeves and Alex Winter. The film is slated for a summer 2020 release. Witches unite! The 1996 cult classic The Craft is getting a remake from Blumhouse and Columbia Pictures. Directing and writing the new rendition is Band Aid director Zoe Lister-Jones. Previously a reboot/sequel was in development at Sony in 2015 with Leigh Janiak attached to direct. Janiak’s was going to be a 20 years later sequel centered on a new group of women. Two years ago, Daniel Casey was tapped to rewrite Janiak’s The Craft. The previous version of the script was penned by Janiak and Phil Graziadei. Jason Blum and Blumhouse are producing the movie along with Douglas Wick and Lucy Fisher’s Red Wage Entertainment, who produced the original 1996 movie. Are you excited for the return of The Craft? If you’re going to see the new Avengers movie you better get comfortable because it’s a long time. A landing page on AMC accidentally revealed the runtime for Avengers: Endgame as three hours and two minutes. The time has since been removed from the site, but not before fans could grab a screenshot. This makes it 33 minutes longer than any other movie in the Marvel Cinematic Universe. Avengers: Endgame hits theaters on April 26th and features an all-star cast made up of James Brolin (Thanos), Robert Downey, Jr. (Iron Man), Chris Hemsworth (Thor), Chris Evans (Captain America), Mark Ruffalo (Hulk), Scarlett Johansson (Black Widow), Brie Larson (Captain Marvel), Paul Rudd (Ant-Man), Chadwick Boseman (Black Panther), Tom Holland (Spider-Man), Jeremy Renner (Hawkeye), Benedict Cumberbatch (Doctor Strange), Elizabeth Olsen (Scarlet Witch), Paul Bettany (Vision), Evangeline Lilly (Wasp), Sebastian Stan (Winter Soldier), Benedict Wong (Wong), Bradley Cooper (Rocket), Chris Pratt (Star-Lord), Karen Gillan (Nebula), Vin Diesel (Groot), Dave Bautista (Drax), and Zoe Saldana (Gamora). The first teaser trailer for the highly anticipated Scary Stories to Tell in the Dark has finally arrived and it’s got some thrilling chills. The clip opens with a group of kinds wandering into an eerie house and finding a mysterious book written by Sarah Bellows. From there we see horrifying creatures from the iconic book coming to life and wreaking havoc on a small town. If you thought the monsters were terrifying on the page, wait until you see them move on screen. Directed by André Øvredal from a script by by Guillermo del Toro, Patrick Melton and Marcus Dunstan, Scary Stories to Tell in the Dark stars Zoe Colletti, Michael Garza, Gabriel Rush, Austin Abrams, Austin Zajur, Natalie Ganzhorn Dean Norris, Gil Bellows, Javier Botet and Lorraine Toussaint, and opens in theaters August 9, 2019. 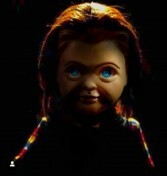 The upcoming Child’s Play reboot not only gives Chucky an updated look, it also gives him a new voice. Deadline reports that Orion Pictures announced Mark Hamill has been cast to voice Chucky in the upcoming reboot. The news was revealed during WonderCon in Anaheim, California. Hamill later shared a video of the announcement on Twitter. "Hello WonderCon, it's Mark Hamill here and if you're wondering who's going to voice Chucky in the new Child's Play, you're looking at him," Hamill announced in the video. "I can't wait to bring such an iconic character to life and present him in a way you've never seen him before. Child's Play this summer. We're going to have some fun. And remember, he's more than just a toy, he's your best friend." While Brad Dourif is iconic in the role, it’ll be exciting to see what Hamill will bring to the role. After all, he does a killer Joker. Directed by Lars Klevberg from a script by Tyler Burton Smith, Child's Play stars Aubrey Plaza, Brian Tyree Henry, Gabriel Bateman, Tim Matheson and Mark Hamill. The movie opens in theaters June 21.